Studio STOUT 5 year anniversary! It is our Birthday! 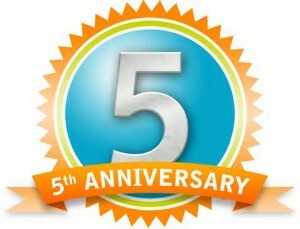 today we are celebrating our 5 year anniversary as Studio STOUT. It has been a great ride, and the past 5 years we have enjoyed working inspiring projects for great customers in economic challenging times. We thank all our clients for their trust in us, and look forward to servicing them in the future. And of course we are always interested in meeting new people, so if you feel we could be of any help for you, just drop us a line and we would be happy to answer them or even better, get together for a cup of coffee and some “limburgse vlaai” (typical kind of cake out of our region).